Do you want to ask something about HP WallArt, then this is your topic. I'm new in HP WallArt and I've some doubts. could anyone help me to understand how to manage Fotolia content in WallArt? Since the answer to your question would be too long, I've uploaded a couple of articles with the answers to your questions in the "Resources & News" section. Here you have the links. How to manage Fotolia content in WallArt? 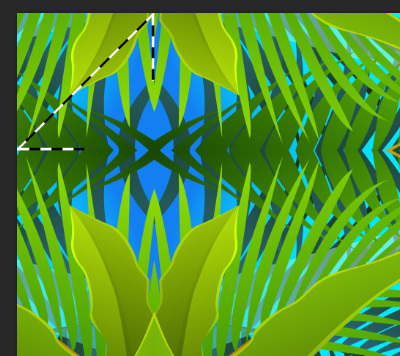 how can I integrate HP WallArt in my web site. Yesterday we've uploaded some documents about HP WallArt in the Resources & News section of the platform. About the web integration, can i use fotolia photo in my website ,just like create some photo collection? Hi JinYun_Roger, welcome to the forum. Based on the Fotolia’s Terms and Conditions, (http://en.fotolia.com/Info/Agreements/TermsAndConditions) I'm afraid to tell you that you CANNOT use the Fotolia's content in your own web page. It’s not allowed to include Fotolia content on any external website due to intellectual property and legal policies. Hi, do you know of any uk printers that have HP Wall art linked to their website? Hi, another question is when I have purchased an image from fotolia can I then add this to my companies library for future use? Hi there Thurmanator .... I was about to ask the same question !! Your question is similar to the one asked by JinYun_Roger. As long as I know, the content purchased from Fotolia is intended to be used for your wallcovering/poster/canvas creation individually, based on the Fotolia's Terms and Conditions (http://en.fotolia.com/Info/Agreements/TermsAndConditions). We are nearing the launch of our new website and we have included a wallart page, this has been personalised to our company as per the guidlines and allows our clients to use, our library, the HP one or the fotolia one. Can you tell me if any other printers in the UK have launched their own bespoke Wallart page yet? Are HP looking at making the process more user friendly? and have you received any similar comments? In my last post, I've attached a file with several examples of web integration of the HP WallArt Solution, but none of them are from England, but i think that you can still use them as examples. 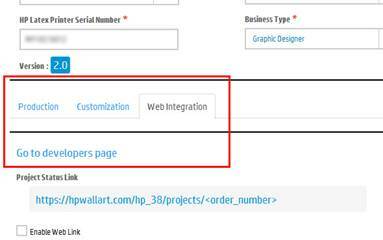 We know that integrate the HP WallArt tool on your webpage is more complicated than just add a link. We are developing some tutorials and tools in order to make it a more user-friendly process. Even though, if you can provide me a more information about you problem, I will try to help you as much as possible. 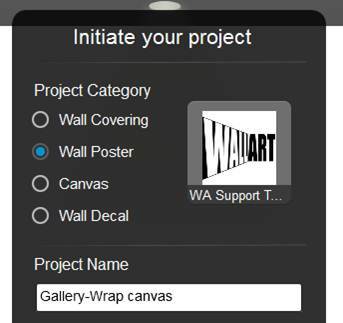 When designing canvas, is there an option so the pdf file is made as a gallery wrap or with the wallart solution you only get the mirror wrap? If you don’t want to apply a mirror-wrap on the edges of the image, we would recommend to use the feature of Wall Poster instead of Canvas and then print the PDF file on canvas media substrate leaving enough white margins for stretching the image around the canvas. How can i add new object in my own content? 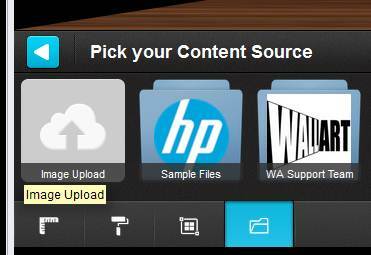 A PSP who have a WallArt account, can upload content to make it available to all their end-users by going to the WallArt Dashboard and clicking on the Content tab. 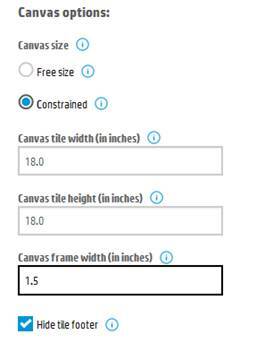 Remember: HP WallArt requires images to be at least 1000 pixels in width and height and a file size of 500 MB or less. The following file formats are accepted: PNG, JPG , TIFF and PDF. I run my website using Magento and would like to integrate the wallart designer with my site. Do you have any specific suggestions for integration with the Magento e-commerce platform or a Magento Plug-in. 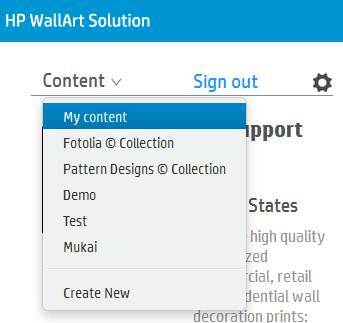 From the Web Integration tab, you could click on the “Go to developers page” link which will take you to the instructions for the WallArt Platform API, as well as resources and sample code to allow you to deeply integrate the HP WallArt Solution within your existing site. Nowadays we do not have any specific plug-in for Magento. For your specific case, if you need help with Magento e-commerce services, I will recommend you to contact with them, since they will help you much better then us (http://magento.com/help/overview). If you can provide me some more details or information about what are you trying to do or what is failing, I will try to help you on detecting what went wrong. Is there a set of images or materials we can use to promote wall paper printing to our customers?